1. 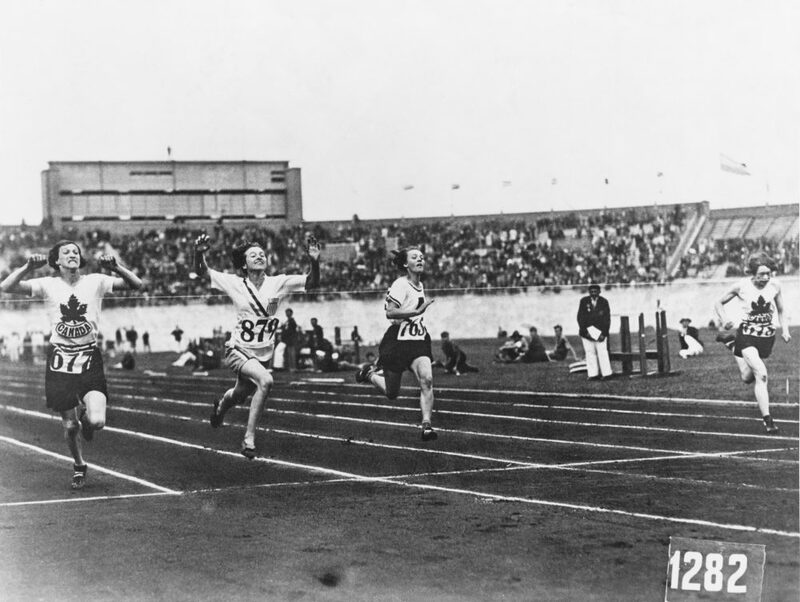 Betty Robinson becomes the first woman to take gold in a track and field event in 1928. American athlete Betty Robinson (second from left) wins the final of the women’s 100-meter event during the Olympic Games in Amsterdam on July 31, 1928. 2. Jesse Owens beats the Nazis in 1936. The medalists in the long jump competition salute from the victory stand at the 1936 Summer Olympics in Berlin on Aug. 8, 1936. 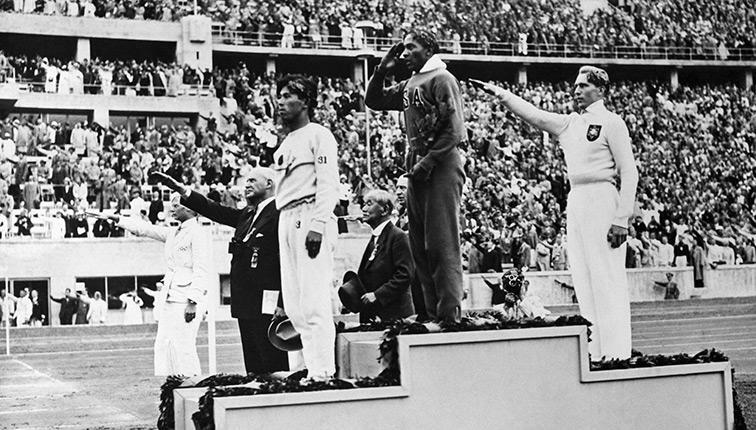 From left, Japan’s Naoto Tajima (bronze); American Jesse Owens (gold), who set an Olympic record in the event and offers an American-style salute with his hand to his forehead; and Germany’s Luz Long (silver) giving a Nazi salute. 3. 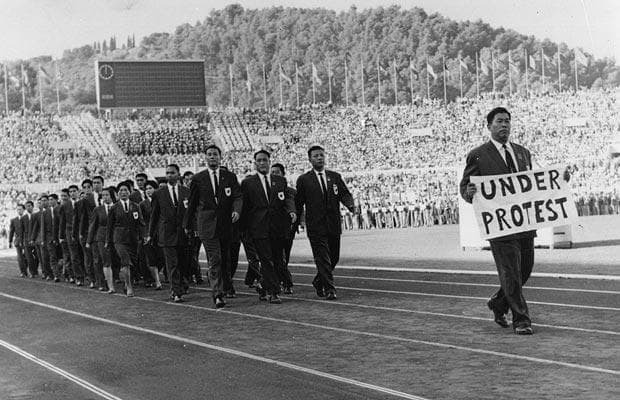 The Olympic team from Formosa (Taiwan) take a stand in 1960. The Olympic team from Formosa, now Taiwan, protest after they were forced to change their name from the Republic of China to Formosa on Aug. 25, 1960. 4. Cassius Clay wins Olympic gold for light heavyweight boxing in 1960. 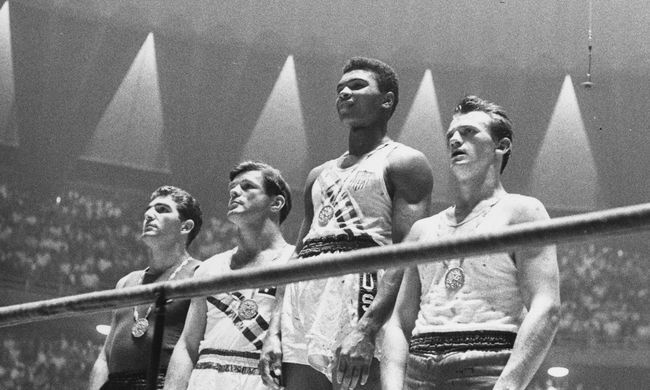 The 1960 Olympic medalists for light heavyweight boxing take the winners’ podium at Rome: Cassius Clay, gold; Zbigniew Pietrzykowski of Poland (right), silver; and Giulio Saraudi (Italy) and Anthony Madigan (Australia), joint bronze. 5. 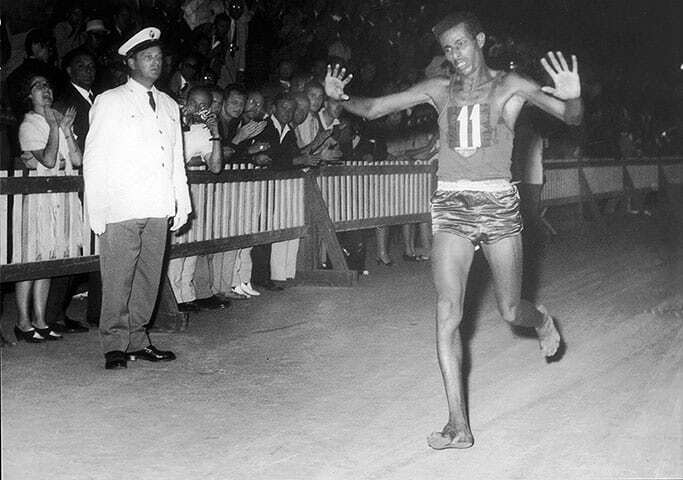 Abebe Bikila of Ethiopia runs the men’s marathon final while completely barefoot in 1960 — and wins. Abebe Bikila crosses the finish line while barefoot on Sept. 11, 1960, at the Olympic Games in Rome. 6. PE teacher Ann Packer of Britain returns to her students as an Olympic champion in 1964. 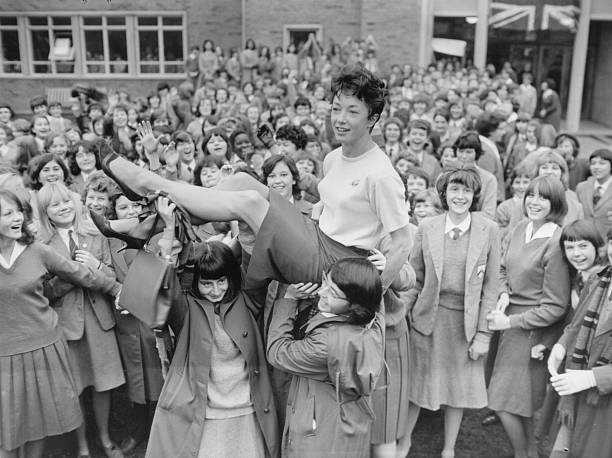 British athlete Ann Packer is cheered on by students at the Coombe County Girls School, after winning the 800 meters at the Tokyo Olympics in 1964 and setting a new world record in the process. 7. 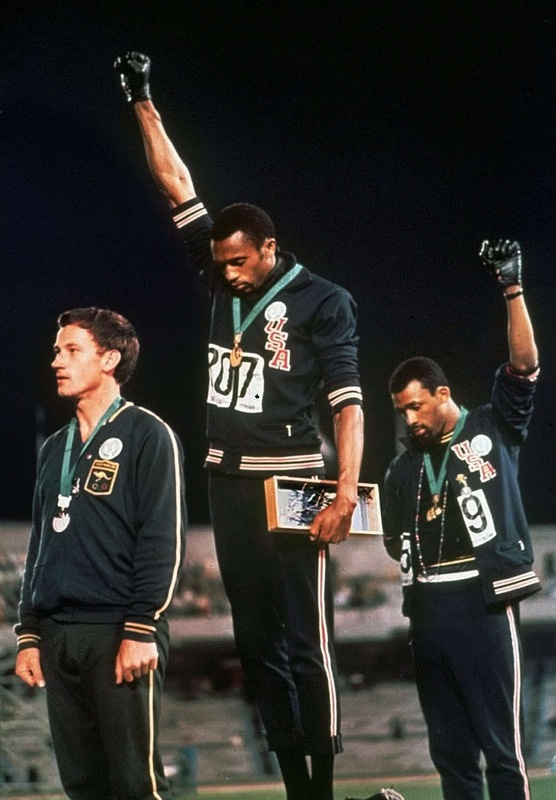 Tommie Smith (center) and John Carlos of the USA each extend a gloved fist in racial protest in 1968. American sprinters Tommie Smith and John Carlos raise their fists and give the Black Power salute at the 1968 Olympic Games in Mexico City. The move was a symbolic protest against racism in the United States. Smith, the gold medalist, and Carlos, who took bronze, were subsequently suspended from their team for their actions. The post 22 Of The Most Memorable And Iconic Moments In Olympic History appeared first on Do You Remember?.